Shashi Tharoor said now Hinduism and religion have been made the front and centre in the politics of the BJP and those supporting that are openly saying that they are the only good Hindus and everybody else is bad. Jaipur: Rahul Gandhi's visits to temples of late were not merely for "demonstration effect" but underlines the fact that what was being done quietly in the past is now done openly, senior Congress leader Shashi Tharoor has said. "Many many Hindus, certainly my generation, grew up as believing and practising Hindus but never showed it outside as they didn't feel like doing so," the Lok Sabha member told PTI in an interview during the recently-concluded Jaipur Literature Festival. "In those days, religion was seen as an intensely personal matter you practice what you like you don't have to show the outside world. And in any case, your religion had nothing to do with political affiliation; that was the assumption," the 61-year-old leader said. However, Mr Tharoor said now Hinduism and religion have been made the front and centre in the politics of the BJP and those supporting that are openly saying that they are the only good Hindus and everybody else is bad. "Why should we cede this narrative to them? To my mind, we may as well show publicly what we have been doing privately. This is not in my view merely for demonstration effect or appearances. It is merely that what used to be done quietly in the past is being done openly now," he said when asked about Mr Gandhi's visits to temples during the Gujarat polls campaign. Mr Tharoor also said he feels that Mr Gandhi was symbolising a change in the Congress. Noting that the Congress had performed well in Gujarat due to the effectiveness of Mr Gandhi's campaign, he said that the Congress now has an "energetic leader" who does not hesitate to use wit and humour in a relaxed style, which in the past, was not associated with the party leadership. "So, when Gandhi issues a tweet after Donald Trump makes a pro-Pakistan statement, some ask what is this but many say 'what a refreshing style, let's listen to this guy'. So in many ways I would say, our politics is changing and Rahul Gandhi is leading and symbolising that change," he said. 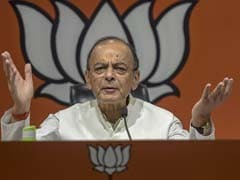 Mr Tharoor also said that the Congress stands a good chance in the forthcoming Lok Sabha elections. "In fact, we are getting more and more rumours that the government may advance the elections because it thinks it would lose the elections if these are held in March-April 2019 due to the momentum the Congress is clearly beginning to get," he claimed. He also termed the controversy of the film 'Padmaavat' as very unfortunate. "The classical principle of freedom of expression is fundamental to any democracy. If you don't like what I have written in my book, don't read my book. 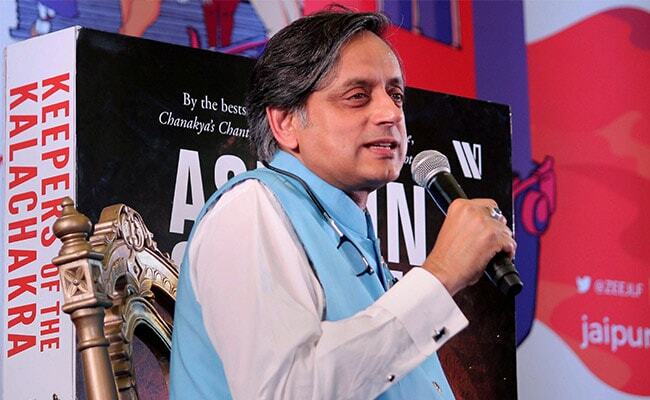 If you don't like a film, don't watch it," Mr Tharoor said. "At the worst, you can even encourage others to boycott it. But you have no right to threaten violence, least of all to conduct violence," the MP from Thiruvananthapuram said.